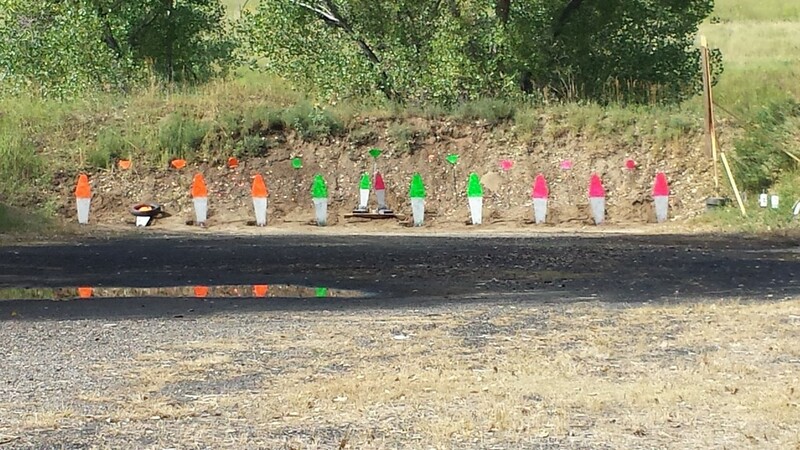 Magnum Handgun is a fun but challenging course of shooting. It will help you keep your hand gunning skills together. This match must be shot with a magnum handgun, .41magnum or larger. Most shooters use a .44 magnum. It is shot at a fifty yard steel target. 1. You and clock. This is you and four timed segments of 25, 20, 15, and 10 seconds of individual shooting. You can get up to seven points per segment, a max total of 28 points. After this the field is divided in half by the high and low score by random draw of playing cards. 2. Team shoot . Here’s where the fun begins. You and your partner shoot against another team of shooters. Each team must shoot at least 5 to 6 poppers faster than the other team to win. This a double elimination round. 3. Speed shoot . You and your partner against the clock and all the targets. Here you can use speed loaders. To shoot the match, it's $8.00 for AGC members and $16.00 for non-members. The Speed Round is $1.00 per shooter and winner take all. This match is held the third Sunday of each month at 9:30 am. It will take about 3 hours to shoot with a good number of participants. The shoot is loads of fun. Come on out and join us.